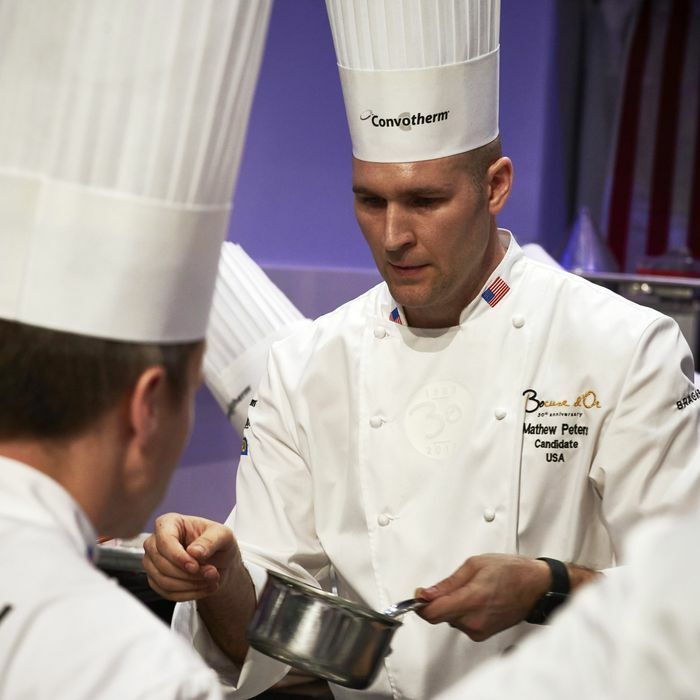 The Bocuse d’Or — a biennial event that’s billed as “the most prestigious gastronomic competition in the world” — took place in Lyon today, and for the first time in its 30-year history, USA won the top prize. Per Se executive sous-chef Mathew Peters and his commis, Harrison Turone, represented America, and their coaching team included former French Laundry executive sous-chef Philip Tessier — who made history winning the silver medal in 2015 — as well as Gavin Kaysen and Thomas Keller. Meanwhile, the silver went to Norway (last year’s gold-medal winner), the bronze to Iceland, “best dish on a tray” and “best poster” to Hungary (those are real categories), “best vegetal plate” and the commis prize to France, and “best promotion team” to Australia (which is somehow less depressing than “best poster”).